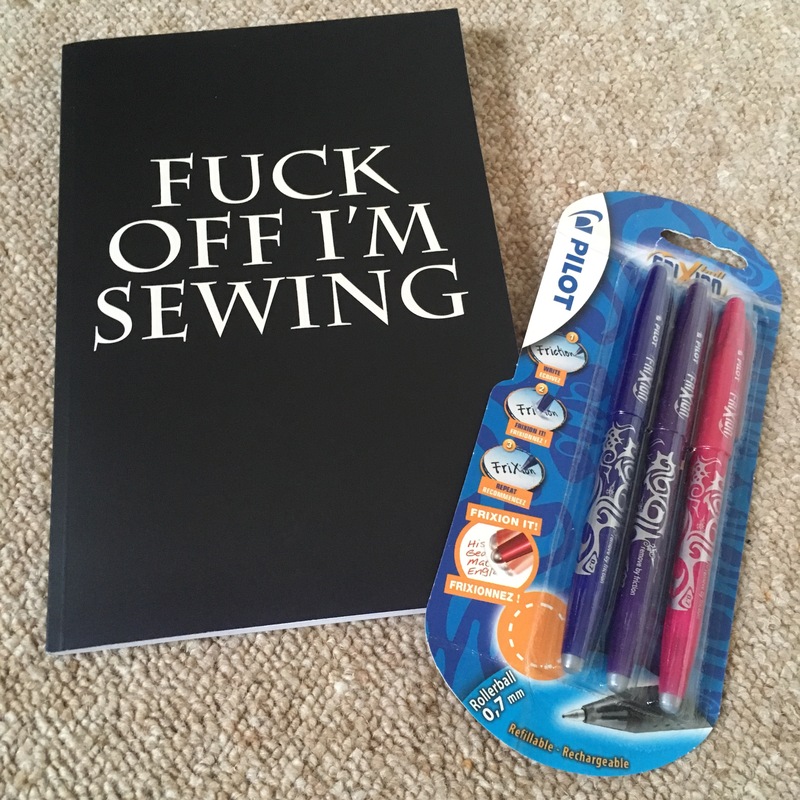 As a sewist and knitter I’ve always done pretty well at Christmas, a few years ago I got new Fiskars sewing shears and snips, and many beautiful how to books. Other non Christmas gifts have included Icelandic wool, organisers for my PDF patterns and of course bundles of fat quarters! This Christmas, however my family did particularly well, would you like to see what they got me? 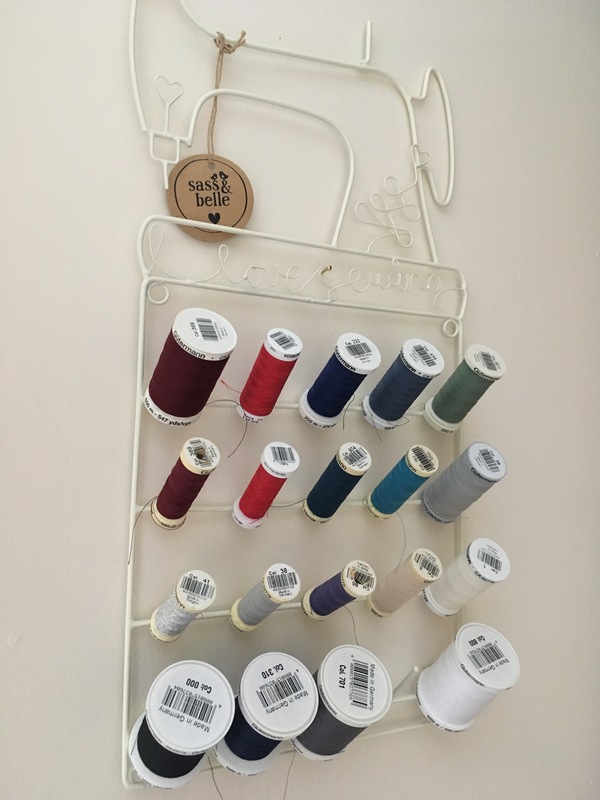 From my lovely partner I got a thread rack!! What a genius. I’ve been contemplating getting one since getting my sewing room. He apparently looked at people’s blogs and rooted around in my drawers to see what I needed. I love it! It’s not hung properly yet, it’s more balancing precariously from its s, but it will be soon. And if you’re wondering… yes I am a Gutermann snob. He also bought me this outstanding notebook!! I mean just YES!! The frixion pens were from my Mum (who understands their magic disappear with iron qualities). The funny thing about this is I bought her exactly the same thing!!! I also got these two beauties. I love paper patterns but tend to just go with PDF because of cheaper reasons. So for Christmas I may have (very strongly… ahem) hinted that I wanted some fancy paper patterns… and my parents delivered! 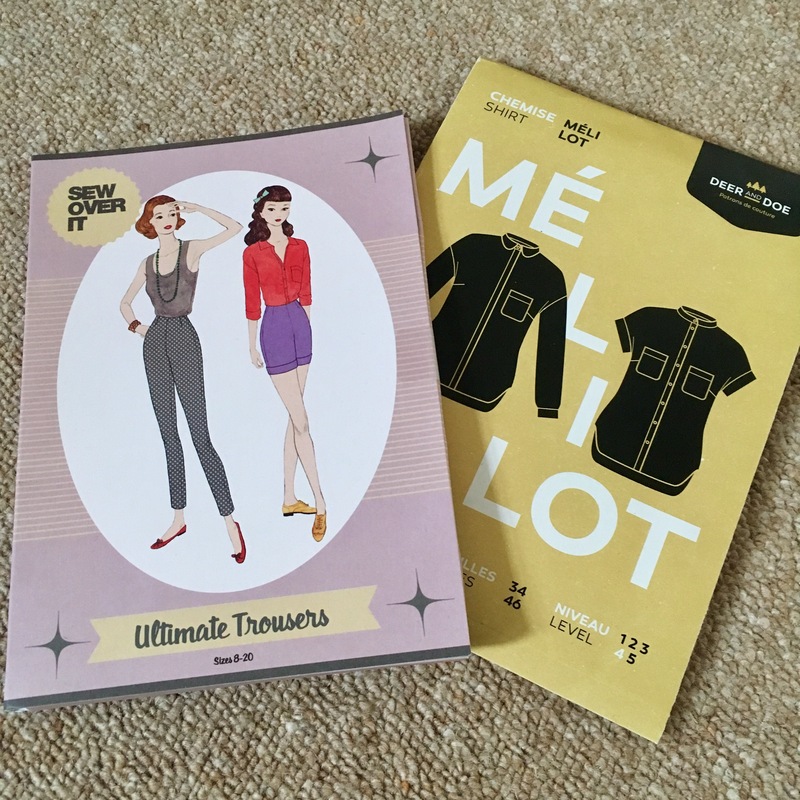 I’m currently browsing the instructions for the Melilot shirt… which I must make immediately! Those trousers will be the next project once I source some practice fabric for fitting. Previous Post So… many… freakin… socks! !